A few weeks ago I decided to cut down my consumption of eggs and a few other things. 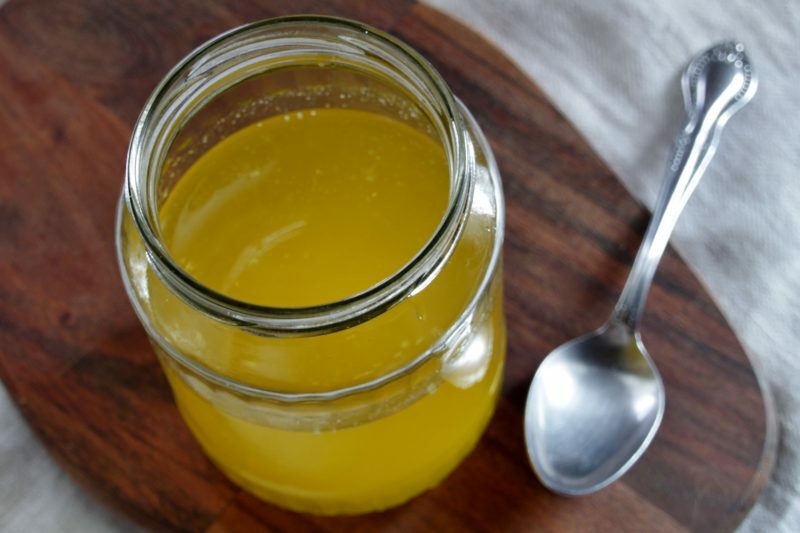 My hormones went a bit wild and my skin started breaking out a lot, so I thought I would help the body to get back to normal faster and cut off some possible triggers. But then the horror came across my mind. What would life be without a mayonnaise? How am I going to survive this? Well, don’t worry, crisis averted. 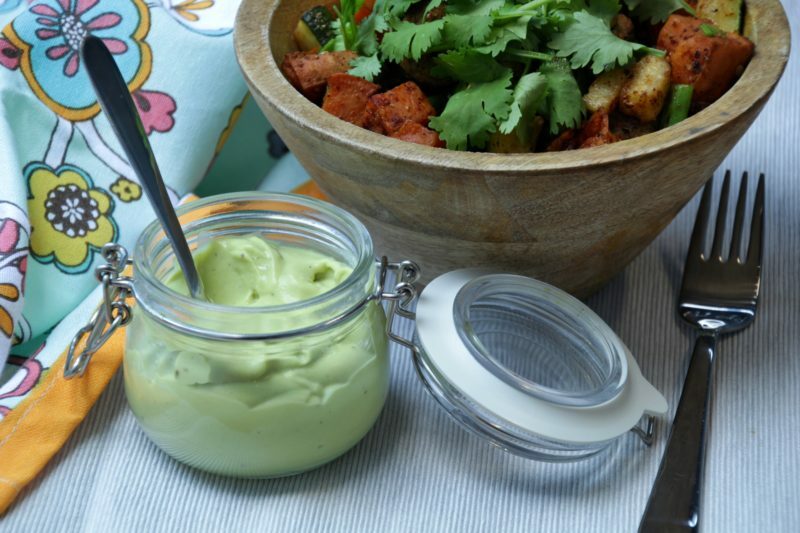 Because I made Avocado Mayonnaise (Paleo, Whole30, Low Carb, Vegan) my friends. Extremely creamy and a delicious option for those who can’t (or don’t want to) eat eggs. In the middle of the week you might be probably too tired to even think of cooking. 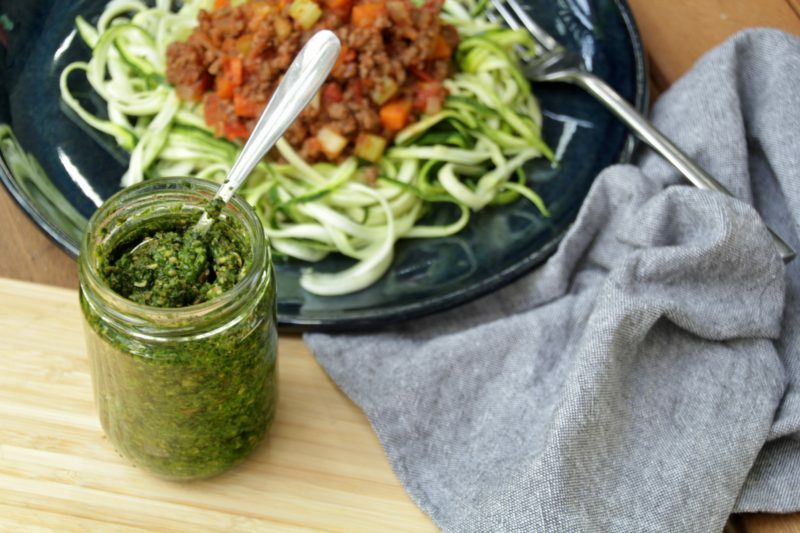 But what about just something simple what would uplift your dinner to the next level? Something that would fancy-up even meals as simple as sausage and veggies? Yeah, of course it’s mayonnaise. Because mayonnaise goes with almost everything. The other option is hot sauce. Now I’m not sure which one I like better. 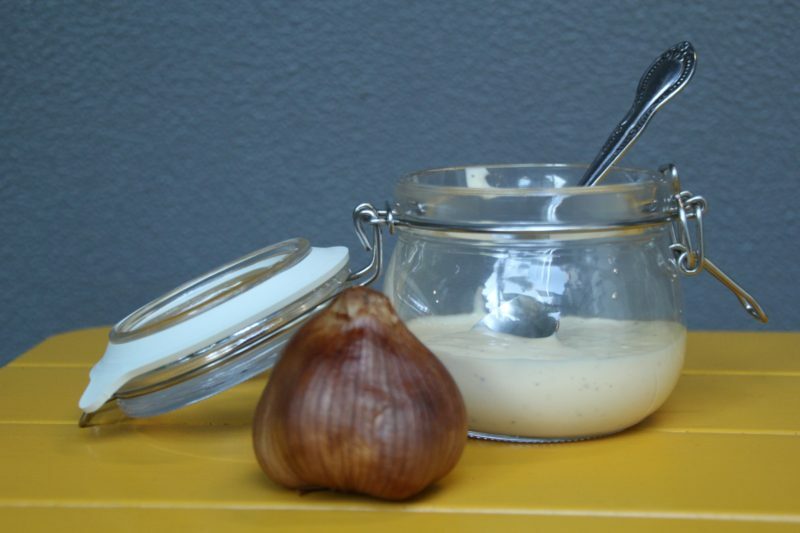 But since I started this article as a recipe for Homemade Smoked Garlic Mayonnaise I might as well finish it. 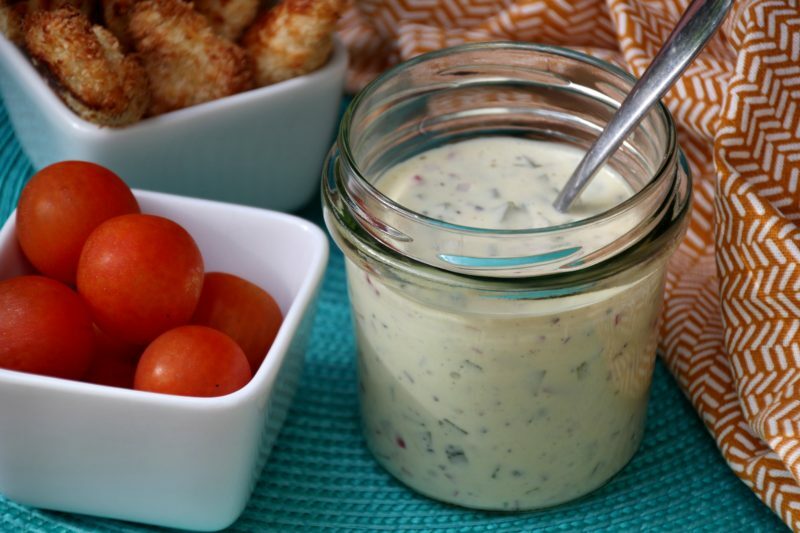 Did you ever try to make homemade mayonnaise? 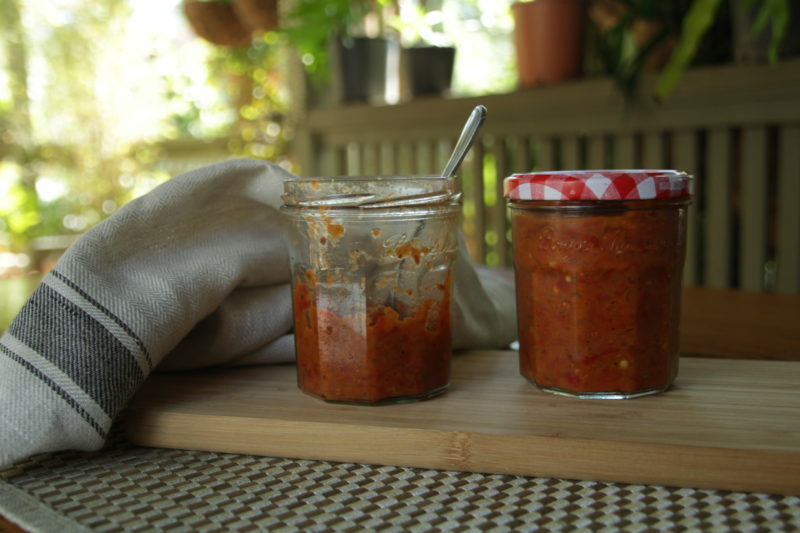 Becase I am a person who fulfills the word, I’m finally sharing the promised recipe for Ajvar (Roasted Red Pepper And Eggplant Relish). That you never heard of this sauce? 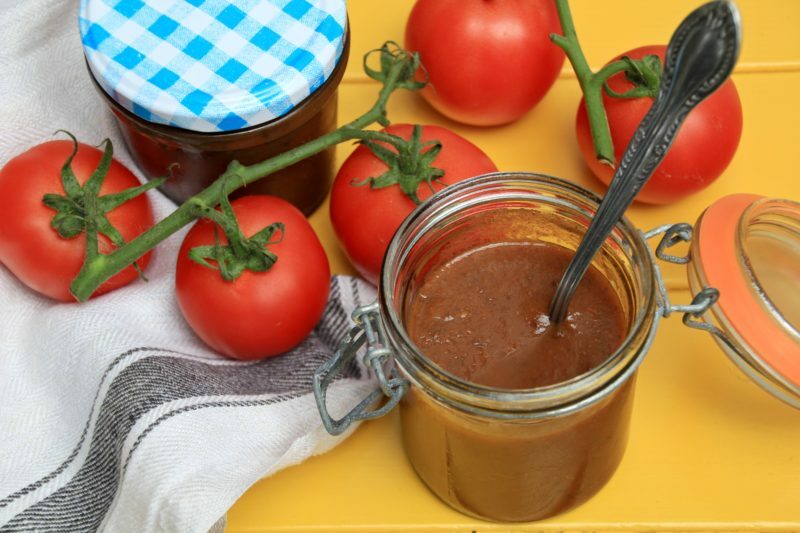 It’s a traditional Balkan sauce/relish made from roasted red peppers and eggplant. And you should definitely give it a try as it’s simply delicious. It’s the perfect addition to the weekend BBQ and roasted meats, easily outclassing the store-bought ketchups and sauces.